Truth is not a frozen dogma but it evolves in integration with people’s questions and challenges. In 1947 when the Church of South India was formed I was too young to realise its full impact. Yet, I could sense the excitement in the air, especially of my elders in the family and the Church. As I grew up and studied theology and the history of the Church, I came to know that the formation was an epoch making event. It was not a merger of some organisations, not an institutional arrangement, not even the creation of a new denomination but it marked the beginning of a new process of revisioning the Church and its mission in India. It was a significant milestone in the journey of a pilgrim church. Three striking elements in the founding vision may be recalled. One, a vision of unity that made denominational divisions in the Church irrelevant. Denominations were the legacy of the missionary movement and were rooted in the history and culture of the West. C.S.I. boldly said these denominations did not represent the reality of the Church. The C.S.I. is not a denomination although many people think it is one such. It is a movement for unity – a catalyst that bring other traditions into the wider church but also the movement for the unity of all humankind. We are concerned about all divisions ethnic, religious, economic and social that destroy the fabric of human community. The church should be an expression of this wider and growing unity. Two, it is acknowledged that “one of the most powerful urges that brought the uniting churches together was their evangelistic zeal and fervour”. The church is national but it should be missionary. The church pledged to be mindful of its missionary calling and prayed “that it may not only be greatly used of God for the evangelisation of South India, but may also take its due share in the preaching of the Gospel and the building up of Christ’s church in other parts of the world”. (The constitution of the Church of South India, Ch. 11:3). The early pronouncements on mission give a great deal of stress on direct evangelisation. But in the discussion that ensued after the first synod, a broader framework of interpreting mission is discernible. Witnessing to the Gospel in the social and political context was a theme developed by the synod that met in 1962. A resolution passed by this synod is a landmark concerning church’s thinking on social questions. “The Synod believes that the social revolution now taking place in India is a manifestation of the eternal purpose and judgment of God in human history. It believes that the Church is created by God to be a people holy unto the Lord and to seek the establishment of Righteousness, Mercy and Love in human society. It therefore calls the members of the Church of South India at this critical time to a serious and prayerful consideration of the implications of this belief for their worship, work and witness in a changing India”. A new orientation to mission was also given when the C.S.I. emphasised the need for inter-faith dialogue. Thirdly, a revisioning of ministry and structure. A distinctive feature of the C.S.I. related to the interpretation given to church offices and the structure that it wanted to evolve. In the early negotiations between the partner churches there was a general feeling that on matters of doctrines (faith) they could easily agree but questions concerning order, there could be differences. To a large extent they all are influenced by the protestant reformation. But divergences regarding the church structure arose out of their different perceptions and practise of ministry. The church after a great deal of consultations accepted the three-fold ministry but endeavoured to give new interpretations. The conviction commonly shared was that the primary focus and function of ministry should be pastoral and not administrative or ritual. For example, C.S.I. does not use the title “priest” but prefers “Presbyter”. The minister is not just a “poojari”. Far more notable is the interpretation given for episcopacy – a controversial issue as a majority of partners never had bishops in their church. It has accepted the historic episcopacy without accepting the doctrine of apostolic succession. The churches especially those from the non-episcopal churches also accepted as “an effective instrument for the deepening of unity within the church”. But at the same time it refuses to believe “that churches without episcopacy are not true churches. It is important to point out that the ‘Baptism Eucharist and Ministry’ (BEM) document accepted by the faith and order commission in which Roman Catholic members were present, agrees to a similar position. It affirms “episcopal succession as a sign, though not a guarantee, of the continuity and unity of the church”. The Basis of Union clearly stated the new understanding of episcopacy in these words, “the relation of the bishop to his people should be that of chief pastor and father-in-God, and that he is called to feed the flock of God, taking the oversight therefore as Shepherd, not as Lord, either in act or in title but as an example to the flock”. Underlying the reinterpretations of the nature and function of episcopacy and other forms of ministry is the conviction that ministry is of the whole people of God. All members are called to participate in the task of building up the church. In this sense church is a community endeavour. Ordained or even specialised ministry should be seen in this context. Has the CSI failed to live up to the foundational vision ? When the C.S.I. was formed in 1947 many predicted that it will not last long and that soon the denominationalism will divide the church. It is true in the beginning people were accustomed to speak of themselves as Ex-Anglicans, Ex-Methodist, Ex-Congregationalists and Ex-Presbyterians. Especially the life in dioceses which have brought together different denominational traditions had to face those tensions. But soon denominational differences have disappeared. 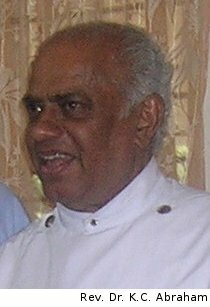 “Unity in our Church is often marred by casteism and parochialism which raise their ugly heads at the time of elections to the various committees and councils of the Church at different levels creating quarrelsome factions and divisions in the Church. Sometimes such factional dissensions and conflicts bring the entire work of the diocese or pastorate to a standstill. Lack of integration in the Church is also reflected in the widespread tendency of people to take to agitational methods and law suits in order to get their ‘legitimate’ or ‘illegitimate’ grievances redressed. Many dioceses have been plagued by alls sorts of unnecessary litigations and agitations which poison the whole atmosphere or the Church. Many people run to courts on the least pretext undermining the authority of the Church and its properly constituted councils and committees and officers”. In India the problem of church unity has to be raised at two different levels. There is the ecumenical unity that is achieved by the merger of the churches. But the unity of the people who derive their identity from their ethnic loyalties is also a matter to be seriously considered. Christians in India have multiple identities and there is an inevitable clash between them. They combine in their consciousness an ethnic identity (caste, communal group, language, etc.) and a Christian identity. But in actual practice, the ethnic identity takes precedence and the Christian identity is subsumed under it. The Christian identity which by its very nature is universalistic and other directed has very little impact in the day to day transactions of life. In the public life where one communal group is vying with another for power one is forced to assert one’s separate ethnic identity. In the political situation which is a question of balancing power between communities, the church also gets into the fray for its share of the national pie. Thus the broader line between church as a community and other communities is almost indistinct. Is a non-communal Christian koinonia possible? The avowed goals of the church should be concretely expressed in the structure and ministry. The primacy of local congregation and the ministry of the whole people of God are the two such goals! The role and functions of bishops and presbyters have been given new interpretations. But in actual practise they seldom live by these goals. The report of After Thirty Years, notes “The structure gives dominant position of the pastorate and the diocese, neglecting the local congregation”. The congregation is not the centre but the wider structure. The same report also points out that ‘the Bishops at the diocesan level and the Presbyter at the pastorate level have emerged as powerful functionaries’. The report continues, ‘it is generally believed that the bishop is the lynch-pin of administration in the diocese’. This phenomenon has tended to encourage centralisation of authority and bureaucratic procedures even against the constitutional intent and purpose. Consequently, there is too much decision-making power at the top, too much apathy at the grassroots and too much jockeying for positions in the middle”. A concomitant problem of this concentration of power is that there is fierce contest for such positions. Elections to them have become scenes of unhealthy canvassing. In fact all the reports talk about the ‘evil of elections’ and raise questions as to whether there could be a better way of deciding on positions in the church. As early as 1958 one of the bishops of the C.S.I. spoke plainly about this. He lamented over “the unholy zeal and joy displayed in electioneering and dubious methods of canvassing so often displayed, from the level of the local church committee right up to the election of a bishop”. The situation has not changed; it has only worsened. The allegation is that even large sums of money were used to lure people during the time of bishop’s election. This is a sad state of affairs. The episcopacy, the election to it and the practise of it, is in need of change as it failed to express the founding message. One of the key questions that emerge is the use of power and authority in a church. In an authoritarian, male dominated culture like ours, church structures are controlled by a few powerful men. In a consultation held in 1978 ‘on the community of women and men’ there was a general agreement that “the decision making bodies of the church do not reflect the actual balance of the human community. It would be impossible for women to take a fuller part in the higher councils of the church, unless they are able to find places within the lower councils on the strength of their own ability and talent”. The situation has slightly improved with the decision of the church to ordain women to the ministry. But this step may remain a mere token unless it is also followed by a conscious effort to enable women and other marginalised sections in the church to fully participate in the decision making bodies. As we have noted earlier the principal goal of union was the church to become missionary. Therefore the ecclesiology of C.S.I. is to be decisively shaped by its missionary purpose. Mission is not merely an activity or a programme but it is integral to the life of the church. It is this vision that guided the early leaders. But the life of the church is hardly a witness to the gospel of Jesus. The church reflects the inequalities and discriminatory practices found in society at large. The awareness that the life of the church is integral to its mission is sometimes lacking. ‘Practising God’ in all our relationships is our mission. Mission is also proclamation of the Good News. C.S.I. has expounded its mission programmes and even sent missionaries to other countries. But the Report After Thirty Years, raises some pertinent questions to the theology and methodology of the evangelistic activity of the church. The report says, “Evangelism at present is largely thought of as a programme of preaching campaigns conducted among non-baptised people (unevangelised area), going from outside the area of living in the area. It success is measured by the number of individuals baptised. The report adds, ‘There is need to understand Evangelism as the purpose of the Church’s existence and as the obligation of every Christian. Evangelism is the proclamation by life, word, and deed of the message of salvation which Jesus Christ has brought to the world”. Elsewhere it has pointed out that “the arrogant attitude of religious superiority and triumphalism with which we have gone about in our evangelistic work has proved to be counter productive”. Mission of the church is also expressed in its concern for society. In fact the service institutions like hospitals and schools are an integral part of the church’s witness. There are also outstanding charitable institutions like orphanages and poor homes. The general feeling, however, is that these service institutions today tend to benefit the middle class. “The poor are not benefited – they cannot afford to come into our institutions, like our hospitals, and in any case most of them do not even enter high school. The vast masses of our people are untouched”. We have neglected the dalits. It is an open secret that enormous amount of money that came for Tsunami relief has been grossly misused and siphoned off by powerful leaders of the church. For some of them Tsunami came as a great blessing! As is evident, all the above points of criticism are taken from official reports and documents. This merits our attention. The church has accepted a process of self-evaluation as integral to its life. It has helped the members to be conscious of their failures and to have a renewed commitment to the vision of the church. This certainly is a challenge to the traditional ecclesiology. Truth is not a frozen dogma but it evolves in integration with people’s questions and challenges. To provide an atmosphere of freedom and critical participation is necessary for the church’s life and ministry. One sincerely hopes that this spirit of self-criticism will not be smothered. As we celebrate the Sixtieth Anniversary of C.S.I. we continue to ask how we can reclaim the original vision for our life and ministry today.